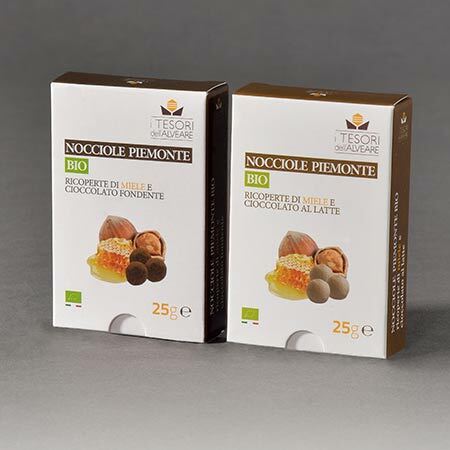 The best organic Italian almonds together with golden honey to give two extra delicious treats. two extra soft nougats a classic recipe and a dark chocolate coated version, in small wraps to fill your cravings without feeling guilty. 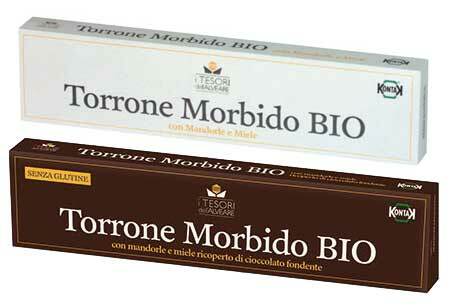 Almond and honey soft nougat available in two different versions: classic or chocolate coated. All organic ingredients and gluten free guaranteed. Soft nougats available in two different flavours: classic or covered with dark chocolate to satisfy your cravings for sweets at any time of the day. 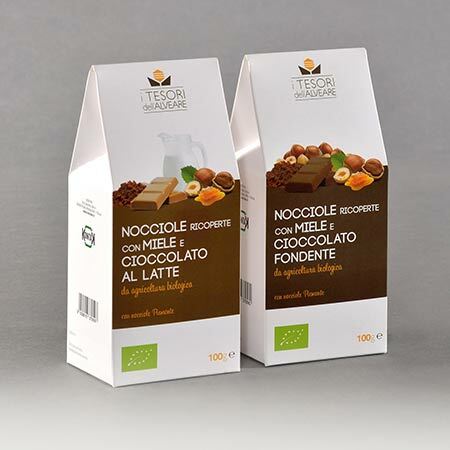 Two delicious snacks containing Organic Piedmont hazelnut (Tonda Gentile Trilobata) covered with milk chocolate or dark chocolate. 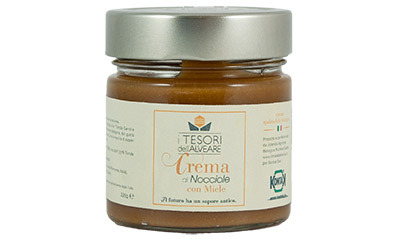 A new recipe - famed Piedmont hazelnuts with honey and covered in dark or milk chocolate. 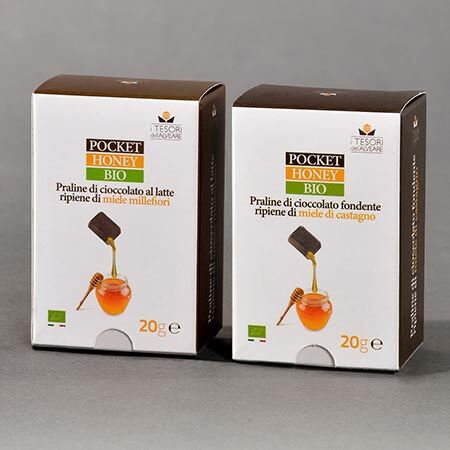 Also available in pocket-size to carry around with you and enjoy the delicious flavours of chocolate and honey at any time of day. 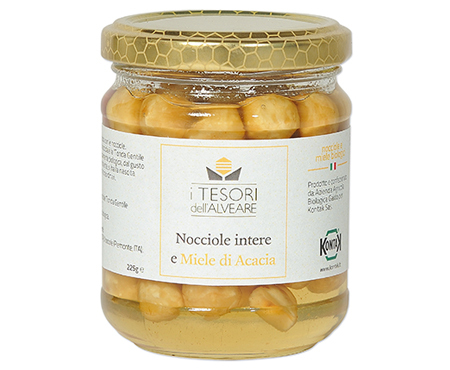 Organic Piedmont Hazelnuts with a persistent flavour, dipped in fine organic acacia honey. For experts! 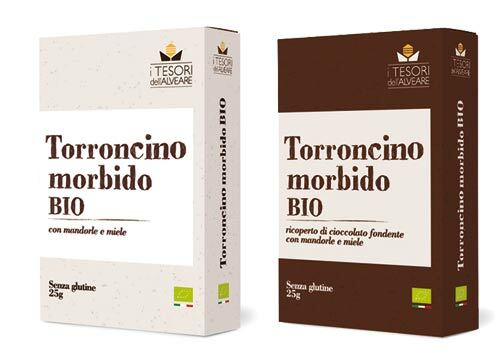 A selection of two honey and Hazelnut creams: with Organic Acacia Honey, Organic Piedmont Hazelnuts (Tonda Gentile Trilobata) and Cocoa. Delicious at breakfast and as a quick healthy snack.